Jim believes it is important to develop a collaborative therapy relationship to support change, a process he facilitates through his relaxed and engaging therapy style. Jim recognises that as we progress through the stages of life difficulties and challenges are inevitable, and while sometimes we heal by ourselves and move on, sometimes we require assistance. 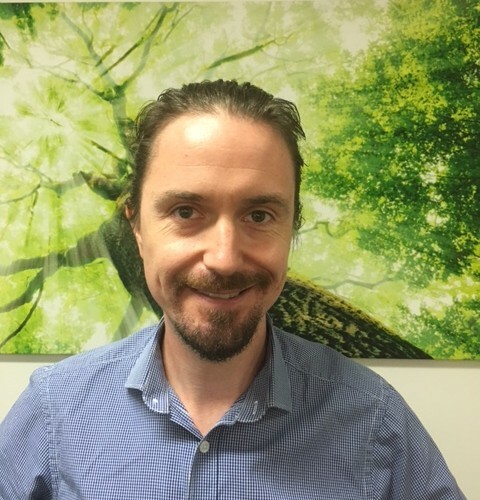 Jim is an empathic, compassionate practitioner and recognises that change is not easy, thus he aims to provide psychological treatment in a context that allows people to feel safe, validated and listened to. He believes that therapy provides individuals with the opportunity to become more insightful, more self-aware and more forgiving of themselves. He then assists clients to learn new ways of dealing with old problems, and helps clients with practical strategies for dealing with their difficulties and finding purpose and direction in their lives. In this way Jim’s therapeutic approach draws upon evidence-based therapies flexibly applied and tailored specifically to client need. Jim holds a Master’s degree in Clinical Psychology and has worked with MacKillop Family Services, supporting young people living in out-of-home care and their carers. In this role Jim gained valuable experience assisting these clients with issues such as: complex trauma; mood conditions; family violence; breakdown of foster placement; educational disruption; absconding; and antisocial behaviour. Jim has also worked in community counselling settings within the CBD and the eastern suburbs, working predominantly with adults experiencing: family violence; complex trauma; substance use; sleep disturbance; anxiety and depressive disorders; autism spectrum; and relationship difficulties. Through these roles Jim has developed an interest in helping women in domestic violence (and other traumatic) situations find safety and empowerment to move forward; assisting adults to gain control over problematic anger and substance addictions; helping adults overcome obsessive-compulsive disorder; and facilitating clients to have meaningful relationships. Jim is available for appointments on a Monday, Wednesday and Friday, day and evening sessions.